After more than three years of employment, Seacoast Eat Local announces the departure of its Director of Programs, Jillian (Hall) Eldredge. 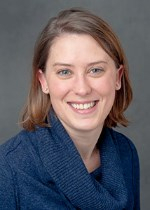 Jill will be leaving her post at Seacoast Eat Local in order to pursue a full-time grants management position with the Foundation for Healthy Communities in Concord, NH. Her last day of employment will be Friday, March 1. During her tenure with Seacoast Eat Local, Jill oversaw the expansion of the organization’s programs and staff. Most notably, this included the creation of the Seacoast Area Mobile Market (SAMM) Program and the hiring of its year-round, full-time coordinator, Celeste Gingras. Other successes included the awarding of the organization’s first federal grant, the USDA Farmers’ Market Promotion Program grant, and the establishment of defined employee evaluation, policies and benefits programs. Among the many joys of her position, Jill most thoroughly enjoyed the depth of the relationships she was able to build with staff, farmers, consumers and others. We know she will not be a stranger at markets or local farm stands! 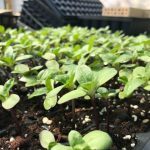 The entire Seacoast Eat Local team of board and staff members have worked tirelessly to ensure a seamless transition without interruption of services for staff, farmers, funding partners or consumers. The organization has every confidence in its continued success moving forward and is excited for a new chapter in its development. Please stay tuned for future hiring announcements! In the interim period, Shelly Smith (Program Coordinator) will be the primary staff contact for Seacoast Eat Local. As many people may know, the recent Government Shutdown caused unforeseen adjustments to SNAP disbursement in New Hampshire. All SNAP funding for the state (i.e. the food benefits which eligible families receive) is typically disbursed on the 5th of every month. Due to the Shutdown, benefits for February were distributed early, in late January, but will not be distributed again until March 5, meaning that recipient families must make the same amount of benefits last nearly 2 weeks longer than normal. Understanding the potential for strain and food insecurity for those receiving SNAP benefits, Seacoast Eat Local mobilized support among its funding partners. 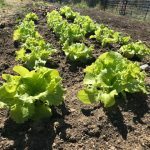 We are proud to announce that The Harvard Pilgrim Healthcare Foundation’s Healthy Food Fund, the New Hampshire Charitable Foundation and the New Hampshire Children’s Health Foundation have all provided funding making it possible for Seacoast Eat Local to provide SNAP customers extra support at our farmers’ markets in February. 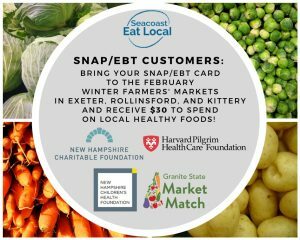 SNAP recipients attending the Exeter, Kittery or Rollinsford Seacoast Eat Local Winter Farmers Markets will have the same opportunity to access any remaining benefits they may have on their EBT cards and receive 1:1 matching fruit and vegetable coupons. Additionally, any SNAP customer may receive $20 in SNAP tokens and $10 in Granite State Market Match. This program will operate only in February and only at the Kittery, Exeter and Rollinsford Seacoast Eat Local Winter Farmers’ Markets. SNAP customers should come to the Seacoast Eat Local token booth at market with their SNAP/EBT card. Tokens can be used to purchase any SNAP eligible foods, including fruits, vegetables, breads, eggs, meat, dairy, as well as a variety of prepared foods. Market dates, times, and locations can be found at seacoasteatlocal.org. Join Seacoast Eat Local and Vernon Family Farm for the next installment of our very popular local foods workshop series! 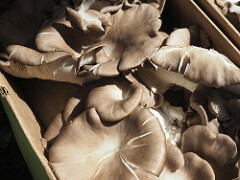 producing oyster and shiitake mushrooms for a commercial market. 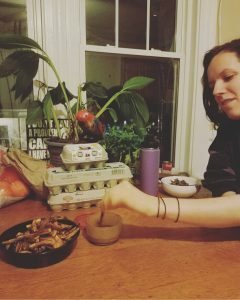 Taste hot mushroom broth, see a fruiting room, and harvest your own fresh cut shrooms to take home with some mushroom broth! Vernon Family Farm’s store will be open and cozy with a wood stove and warm broth. Bring an above average attitude and you might just meet some fungies. Tickets are sold on a first come, first served basis and space for this event is limited! Please contact the staff of Seacoast Eat Local with questions. Posted in author: JillLeave a Comment on Learn from a “Fungi!”: A Mushroom Workshop! Posted in author: JillLeave a Comment on Join us for Benefit Dinner at the Black Trumpet! Confession: I don’t like fennel. I have never really used fennel and I think I don’t like it. Last week, we received one small fennel bulb with stalks and fronds. I promptly did with it the only thing I know how to do with fennel, I dispatched it to the freezer to be used in a future fish stock. My favorite fish stock, found here, uses a single bulb of fennel and bulbs used in those stocks remain the only time I have ever used or eaten this locally grown item. This week, my fennel problem multiplied to two larger plants. Wuh Oh. Game on, fennel. So, I took to the couch for “research and development” – meaning I combed all my favorite local-foods inspired cookbooks in a big stack. Then, I got to work. First, I separated the plant into three parts, bulb, stalks and fronds. The bulbs went into a produce bag in the fridge. The stalks became more fodder for stock and I separated the fronds, wrapping them in a moist towel inside another bag in the fridge. Next I chose two promising looking recipes: fennel frond pesto and sauteed fennel and onions. Both come from the CSA Cookbook. 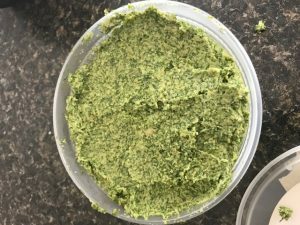 Today was “Fennel Frond Pesto” day and my adapted recipe is below. 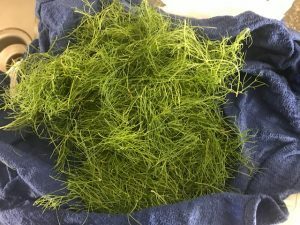 Fennel fronds smell like licorice and are, honestly, pretty tedious to remove. As a size reference, the two bulbs were fairly small and even still the fronds amounted to about 4 packed cups, twice what I needed. 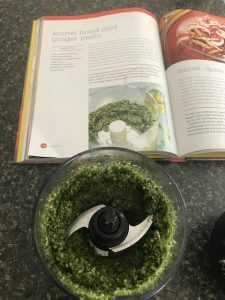 Above is my amended recipe- going by the book’s recipe, my pesto was very dense and lacked a bit of ‘zing’ – it looked and tasted a little like something the lawnmower spit out. I added more olive oil, lemon juice and garlic. There is also no cheese in this recipe. It’s still fairly dense as is, but I would consider adding some grated cheese. And the final verdict? Not bad! Certainly, there was no heavy licorice flavor like I anticipated. Next up? Sauteed fennel bulbs with onions! August is NH Eat Local Month! 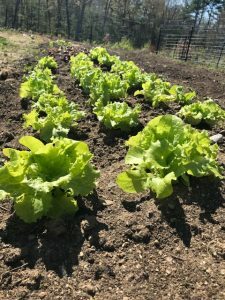 Throughout the month of August, Seacoast Eat Local joins with 70+ partners throughout the state to highlight New Hampshire Eat Local Month — a month-long celebration of local food and New Hampshire farmers and producers. 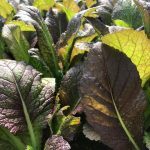 “New Hampshire residents and visitors, alike, are showing unprecedented interest in local food, and this month-long celebration offers a great opportunity to feature New Hampshire grown foods and farms,” said Gail McWilliam Jellie from the New Hampshire Department of Agriculture, Markets & Food. As part of the NH Eat Local Month festivities, we invite all Seacoast Residents to visit a local farmers market and to consider donating fresh market produce to Seacoast pantries through the NH Gleans Program. Seacoast Eat Local assists with gleaning at markets and donations of fresh produce may be submitted at the Seacoast eat Local table of any one of our seven participating summer farmers’ markets NH Eat Local Month also coincides with National Farmers’ Market Week, honoring farmers’ markets all across America. “August is an excellent month to celebrate and introduce people to the bounty of locally grown foods in our state. Eating locally strengthens the health of our community, culture, economy and environment. Many may be surprised at the array and quality available only minutes from their own homes. 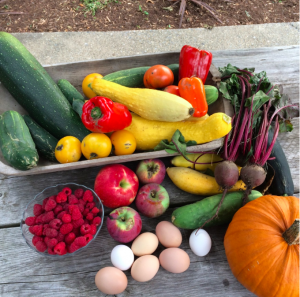 We hope all Seacoast families will take the opportunity to support and get to know a local farm through shopping at a farm stand or farmers’ market location during this time. 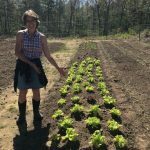 We also hope to spread awareness that these opportunities are open to all New Hampshire families, regardless of income, with thanks to our SNAP/EBT acceptance programs at local farmers’ markets.” said Jillian Hall, Director of Programs for Seacoast Eat Local. New Hampshire Eat Local Month is a statewide celebration of farmers and local food producers throughout the month of August. Promotion of this year’s NH Eat Local Month is in collaboration with the Hampshire Department of Agriculture, Markets & Food, Monadnock Buy Local and Seacoast Eat Local. Find more information at www.nheatlocal.org and www.facebook.com/nheatlocal. 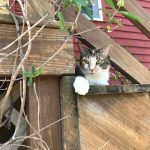 Posted in author: JillLeave a Comment on August is NH Eat Local Month! Seacoast Eat Local is announcing an exciting opportunity– the first like it in our history! 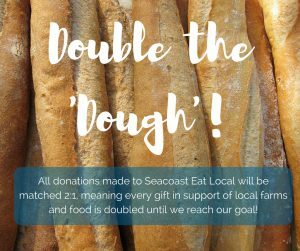 This year, donations made to Seacoast Eat Local will be matched 2:1, until we meet a fundraising goal of $5,000. 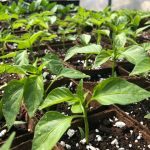 That means that every gift in support of local farms and foods will be doubled, thanks to a generous gift from the You Have Our Trust Fund of the New Hampshire Charitable Foundation. This extraordinary opportunity could not come at a better time, in the final weeksof our summer fundraising campaign before the end of the fiscal year June 30. We are calling these remaining 10 days the “Double the Dough” campaign and we hope you’ll join us! Gifts to Seacoast Eat Local further our mission of advocating eating locally for the health of our economy, community, culture and environment. Support of our major programs increases market opportunities for local farms and access to fresh local foods by our friends and neighbors. Posted in author: JillLeave a Comment on Double the Dough! programming. They lived in a thickly wooded property in Barrington down a dirt road and Carla tended a garden just large enough for her family. Four or five years later, their road is still unpaved, but they’ve cleared nearly an acre of their property. Just a short walk beyond the driveway, in what used to be a stand of tall pines, sits a neatly tended and fenced quarter acre plot of rows planted in spring greens. Welcome to Determination Farm. It’s a new act in life for Carla. She grew up in the South (Missouri) and moved north, studying psychology before becoming a caseworker. She later married her husband, had two children and homeschooled them through high school. With her children in early adulthood, Carla was ready for a new phase in life. 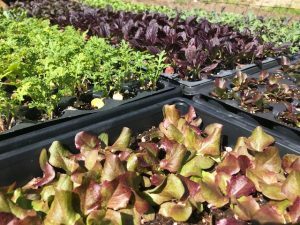 Determination Farms is just two years old and in its fledgling stage. Wisely, she has started very small with only a handful of CSA customers. She knows exactly how many CSA shares she needs to break even and what her limit is, should she reach it. She has some tentative plans to sell extra greens to try to maximize her sales potential. She knows a lot of her investments may not repay themselves for years (if ever), but she has plans to keep growing, little by little. 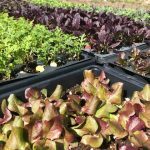 Determination Farm is still accepting CSA members for the 2018 CSA season. For more information about the farm and its CSA program, visit their website. I made my first scallop order from New England Fishmongers several months ago at the start of the scallop season. It was a bit of an experiment. My spouse scoffed a little.. “they’re expensive… I’m not sure I like them..,” but I persevered. I remembered this same conversation about our fish share last summer and by June “Fish Night Tuesday” was our favorite dinner of the week and a certain someone became a local fish connoisseur. After a delicious chili-lime scallop dish earlier this week (see below! ), someone was quickly changing his tune and wondering whether we could order more scallops. He’ll learn! 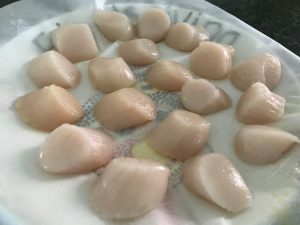 Scallop season in New England is quickly coming to a close, but I was able to sneak in one last order from New England Fishmongers, who have been busily harvesting and delivering native scallops for the last several months. The season starts around holiday time and is looking to wrap up in the next week or so. And, just to be fair… my spouse is an excellent cook who has taught me a thing or two in the kitchen as well. Something is always on the stove in our house and we like to believe it’s the focal point for a loving exchange of ideas, and recipes. Bay/Sea, Dry/Wet… What’s it all about? not soaked or treated with a solution meant to extend their shelf-life — they are untreated and fresh off the boat! Scallops are bivalve mollusks. This means that they are a soft-bodied invertebrate with a two-part hinged shell and breathe/filter feed through gills. When we eat scallops, weare eating what is known as the adductor muscle, which is responsible for opening and closing the shell. The “foot” a hard tendon that we remove from the scallop, is responsible for rooting and moving the scallop in the water. When we receive a pile of white flesh, we are receiving scallops that have been shelled. I Ordered Scallops… Now What? 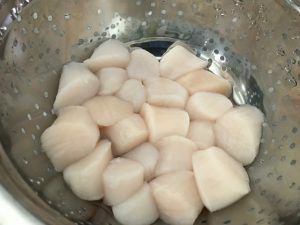 Rinse the scallops in a colander with cold water. Gently agitate them with your hand. Remove the hard tendon, sometimes referred to as the ‘foot.” Some sources suggest a paring knife. 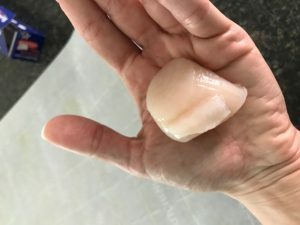 I find that it is easiest and best to gently peel this off with your fingers, working carefully not to rip the delicate flesh of the scallop. Place uncovered in freezer until completely frozen, then place in appropriately sized freezer bags or containers, removing as much oxygen as possible. Tip: I freeze in 1lb packages, which seems about right for a two-person dinner. Ok, They’re Frozen… How do I eat them? A day before, remove the scallops from the freezer and into the fridge. The day you plan to cook them, remove them from their package and rinse them in cold water. Feel them to make sure they are thawed through. Dry them off before cooking, but they are ready to cook with at this point. There are hundreds of scallop recipes out there. Dumplings, risottos, stews and soups… but our favorite is to sear the scallops in a hot pan (cast iron or non-stick works) and serve with a flavored sauce and sides. Scallops have a very mild flavor, so the sauce pairings are endless from a simple brown butter sauce to asian-inspired twists. Most recently, we cooked a NYT Cooking Recipe: Seared Sea Scallops with Ginger Lime Butter. Dry the scallops then sprinkle with salt and pepper. Sear the remaining side, being careful not to over cook (~2-3m) and remove from pan to warm plates. We served this with a fresh salad and roasted sweet potatoes, using the butter sauce as a dressing for the salad as well.